At Modern Rustic Homes we use a mix of rustic materials such as poplar bark, fletch board, logs, rough sawn planks and heavy timbers. Add stone accents and you now have a unique look and feel. These homes have a human scale that is comforting and convenient. 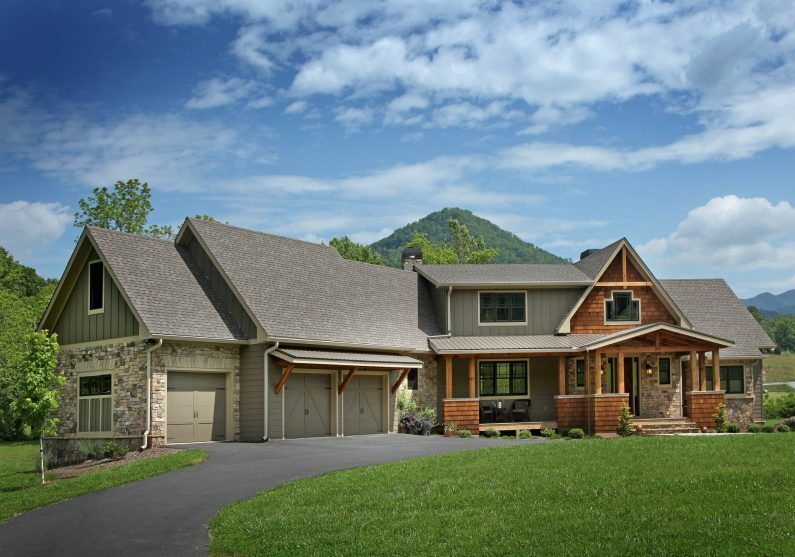 One of the most popular architectural styles requested today is Craftsman. The Craftsman style became popular in the early 1900’s and was developed by architects and residential designers such the Greene brothers in Southern California. Also called bungalow, this style of architecture takes much of it’s classical proportions from Japanese and Swiss houses and has blended these design influences into a house that creates intimate spaces inside and out. This is done though the prevalent use of gabled and shed dormers, vaulted ceilings, entrance porches, courtyards, and gardens to define the spaces. A range of rustic materials has added visual and textural interest as well. 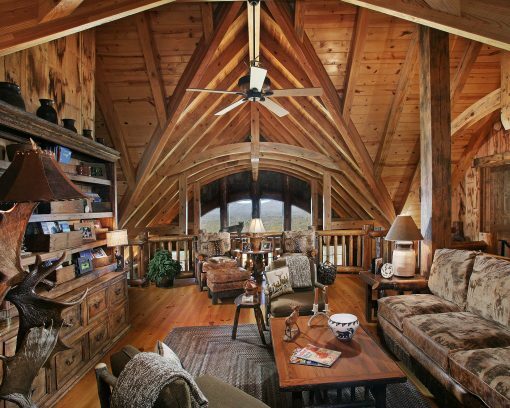 Check out the Wild Turkey Lodge for an excellent example of Appalachian architecture taken to the next level. 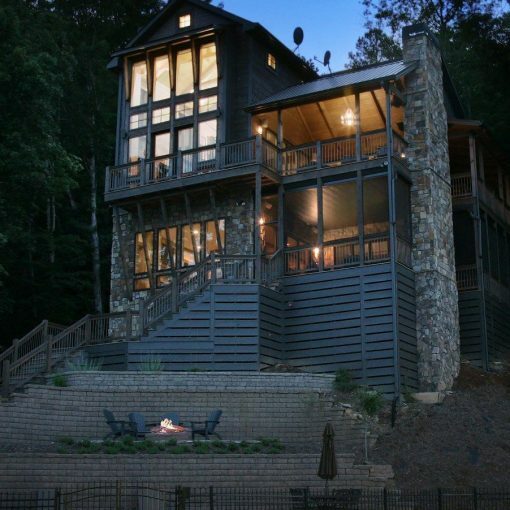 Often associated with a classic log cabin, Appalachian architecture is simpler and usually features a wide front and rear porch with “gabled dormers” and generous porches for family gatherings. It’s origins are more humble, but over the years have morphed into hunting lodges that showcase large great rooms with massive heavy timber rafters and beams and large expanses of glass to showcase long range views. Imagine wide plank, long leaf pine floors with traditional moldings, or a heavy timber lintel over a window inset into a stone wall. 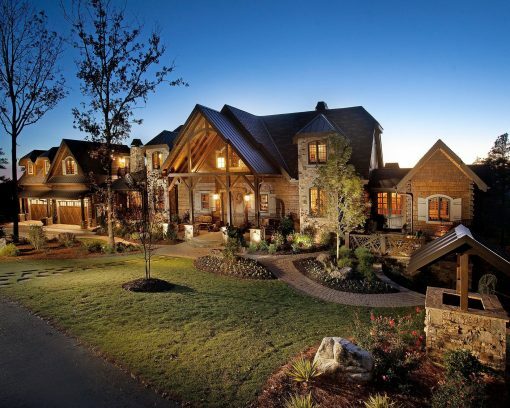 Using rustic materials adds character to traditional architecture. Traditional-styled houses blend shapes and proportions that are classic and balanced. When you take this style and interpret it with rustic materials you achieve a unique look and feel. This style is less formal and more comfortable. Windows and doors become much more important in the success of the design because they create transparency and establish sight lines which pull your eye. 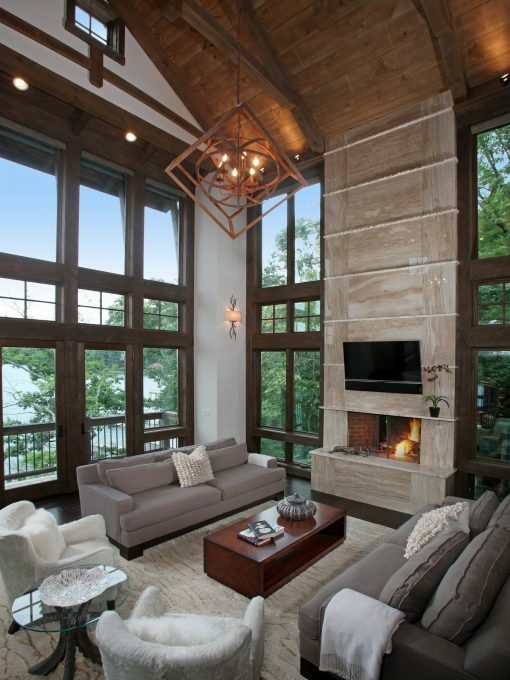 This will emphasize a focal point, be it a fireplace or the distant view beyond the opposite window or door. Contemporary architecture is more challenging to design and build because the proportions, the textures and the lines of the house are emphasized by the form, but are simplified; therefore each element is more prominent and pronounced . When rustic materials are used you add an interesting visual element to the overall design.